Mexican pilots' union ASPA said Damojh's statement, which was released before the official investigation has concluded, was "irresponsible". The crash was one of the worst to happen in the Caribbean for decades. 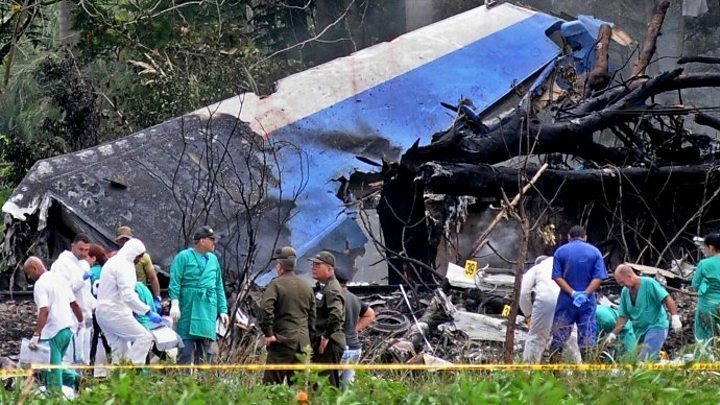 A spokesman for the Mexican pilots' union said Damojh was "just looking to defend their interests" by blaming the crew before the investigation had been concluded. Following the accident on 18 May, two former pilots for the company came forward to allege that Damojh had a poor maintenance record. 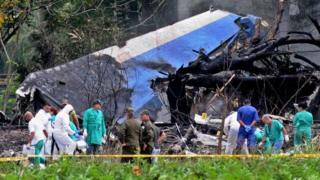 Mexico's civil aviation authority suspended the company's operations in the wake of the accident. It said the suspension would remain in place pending the outcome of the investigation. Most of the victims were Cuban, including 10 evangelical pastors and their spouses. Of the 113 people on board, 110 died on impact. Of the three initial survivors, two later died in hospital.